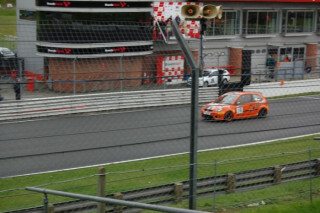 Jack began the last 2 rounds at Brands Hatch feeling confident. 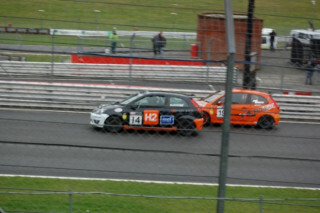 In race 1, following a collision he came into the pits. His mechanic advised him that the collision had resulted in a bent track rod end. Showing great maturity and determination Jack re-joined the race to aquire as many points as possible. 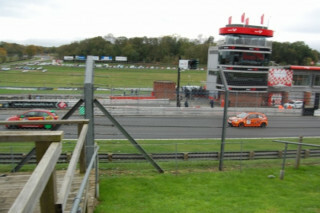 Race 2 had been declared a "wet race", even though the track was dry and wet tyres were fitted to the rear of the car. Jack drove hard from the back of the grid and got up to 4th place closing the gap to the leaders. However, suffering the same fate as two other drivers his rear tyres began to melt, causing the car to skid out of control at Paddock Hill.